Amphetamine, cocaine addictions (chemical or psychological), use of stimulants, pervitin, crystal are diseases responsive to treatment in Moscow Jacob Hiller’s Clinic. No one thinks about consequences using drugs. However, the psychostimulant addiction is not a sentence. It may be overcome what is successfully proved by our Clinic in Moscow. This group of substances includes those capable to cause unusual rising, activity, eliminate fatigue, create subjective sensation of tirelessness, cheerfulness, unusual clarity of mind and movement ease, quick-wittedness, self-reliance, even fearlessness. Though such condition is accompanied by high mood, it cannot be called “sunny” or serene. On the contrary the mental supertension is combined with high excitability, more or less evident anxiety, permanent suspicion, even suspiciousness to environment. The side effects include insomnia, absence of appetite, tachycardia (sometimes with extrasystole), hypertension, muscular tremor. The amphetamines abuse occurs as follows: firstly it is limited to intermittent use of amphetamine or one or two intravenous injections. Then upon repetition the psychological addiction comes quickly. Its first manifestation is an irresistible desire to repeat the infusion of amphetamine preparation or its repeated intake during postintoxicational period (during the so called second action phase). The indirect sign of amphetamine addiction may include the desire to take hypnotic or tranquilizers during the aftereffect, and all the more in advance in order to avoid it. Amphetamine addiction among teenagers in most cases is characterized by abuse periodicity reminding drinking period upon chronic alcoholism. “Weekend excesses” of English pupils were described by P.Connell. “On Friday evening they disappear from home and come back on Monday in dysphoria condition: irritated, aggressive towards family, especially towards mothers”. Dysphoria lasts for 1-2 days. According to Connell the pupils do not take amphetamine during the week, they continue studies, and on weekends the situation repeats. The so called “Swedish cycles”, or “bindging”, are more severe. During 2-3 days teenagers repeatedly take methylamphetamine or methylphenidate (centedrine) intravenously, and repeatedly take it in large doses. They adjusted daily intake of up to several hundred milligrams, i.e. to dose which exceeds the maximum therapeutic dose by several dozen times. During such days teenagers do not sleep, eat, they are always “under the influence”: in condition reminding angry mania upon affective psychosis in teenagers. Usually such “bindging” is combined with aggressive behavior. Such teenagers often participate in bloody fights, and may show aggression, even brutal towards strangers. In 2-3 days schoolchildren reach amphetamine addiction to a frazzle, they suffer from faints, dropped beat palpitation, insomnia, everything becomes a blur. Then they take a large dose of hypnotic, make up for lost sleep and eat off for 2-3 days, and then the next “bindging” period starts. Upon such abuse paranoid psychosis is developed in many of them quite quickly. They gradually lose weight. They become susceptible to putrid infections, furunculosis appears. The sexual potency and sexual desire of the youth is noticeably decreased. With the lapse of time there is an intensification of anhedonia when nothing in life can please them or attract their interest. Teenagers become inactive, unsociable. A sudden interruption in amphetamine use results in withdrawal state development. The essence of the withdrawal state upon amphetamine addiction is a postintoxicational state prolonged for several days (up to 2-3 weeks). The dysphoria with sullen mood, exacerbation, irritability, “internal anxiety”, need to vent one’s fury on somebody is developed. This is accompanied by sense of complete fatigue and poignant insomnia. Chronic amphetamine psychosis is manifested by paranoid hallucinatory syndrome. Against the background of permanent dysphoria or fear of both delusion of persecution and delusion of physical influence (from hypnosis and telepathy to radioactive irradiation and laser beams) are developed. The prolonged amphetamine abuse changes the proportion of chemical substances in the brain adversely affecting the mood, energetic level and human behavior. It becomes difficult to refuse from drug as the brain chemistry is adapted to amphetamine presence, and if the drug use is cancelled or reduced in dose this will result in withdrawal pains. In long-term outlook amphetamine addiction may cause damage to brain chains and result in memory impairment and learning capability reduction. In extreme cases amphetamine addiction may become serious enough and invoke such conditions as mental disorder when a person temporally goes out his mind. 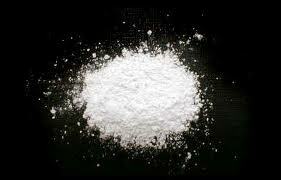 Pervitin (crystal) is a homemade cheap psychostimulant drug prepared by drug addicts themselves. Vinegar and other chemical substances are added to amphetamine in order to make drugs cheaper and more effective. The product made is called pervitin or crystal. These homemade drugs are much more destructive and detrimental to health. Amphetamine addiction treatment is carried out ambulatory, and by the approach it is alike cocaine addiction treatment. Powerful modern preparations that influence the corresponding receptors and calm the overexcited brain, regulate the damaged level of important neurotransmitters are used upon amphetamine addiction treatment. Antidepressants and neuroleptics that are not effective and have serious side effects are not used during amphetamine addiction treatment. The preparations that restore all disturbed processes in drug addicts with minimum side effects and in a correct pharmacological way are administered during treatment according to Doctor Hiller’s method. Upon psychostimulant addiction treatment the patients are provided with medicamental, psychological and psychiatric support for three months at least. Upon amphetamine addiction treatment it should be taken into account that these drugs have a direct toxic effect on the brain. 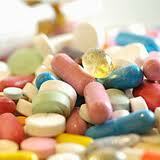 Most patients taking this drug group suffer from mental disorders, including real psychosis. They are accompanied by symptoms similar to schizophrenia, including hallucinations and paranoia. In severe cases locomotive disorders are also developed. Most of drug addicts start to have difficulties with dynamics, i.e. they have disorders when walking, talking, the mental capacity is reduced. Inexperienced and non-erudite doctors often make incorrect diagnosis based on amphetamine addiction symptoms. They diagnosticate it as “schizophrenia”, and treat patients administering a large volume of neuroleptics and strong antipsychotic medicines. Such treatment has minimum efficiency and serious side effects. Considering all peculiarities of brain and psychic disorder caused by taking this drug group, Doctor Hiller has developed the complex pharmacological treatment of amphetamine addiction that on one hand restores psychic disorders to the maximum extent possible and on the other hand cures motor disorders.